Today is Halloween, and for the vast majority of people this means elaborate costumes, spooky trick-or-treating and binging Stranger Things 2. However, for us mobile gaming enthusiasts, this ‘holiday’ also brings along with is a slew of brilliant price reductions on the App Store. If you prefer to stay away from the shadows in the comfort of your own home, or you just want to grab one of 2017’s best releases at a bargain price, Ironhide Studios has you covered. Iron Marines ($2.99) was a neat futuristic RTS game from the creators of Kingdom Rush (Free), and received an exultant five-star review in our extensive launch coverage. With some deserved comparisons to the mighty StarCraft, it was certainly not one to miss for real-time strategy fans – if the game did manage to slip by in the usual tsunami of App Store releases, the developer has put Iron Marines on sale for the first time this Halloween, and is now a veritable bargain at $2.99. Iron Marines was the real deal when it released back in September, and featured a ton of things to micromanage and 14 extensive campaign missions across the game’s beautifully illustrated worlds. While there were a number of inevitable freemium elements in the game, these only served to unlock entirely optional characters or speed up the gameplay, and were easily avoidable for anyone wanting a deep, pure and traditional RTS experience. Iron Marines also manages to retain the complexity of genre classics for veterans while also appealing to those who are normally turned off by such strategy titles. 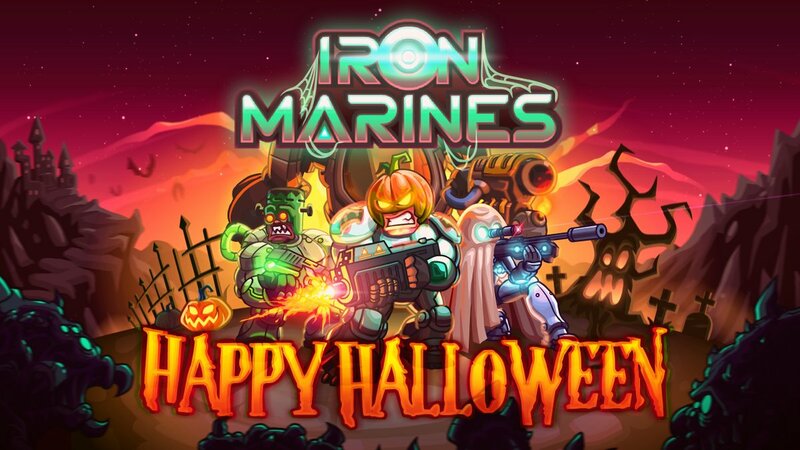 I only play the occasional RTS game, yet Iron Marines grabbed me with its abundant charm, and I’d recommend taking advantage of this seemingly limited Halloween promotion. Download Iron Marines for $2.99 from the App Store today, and let us know your impressions on our forum thread.